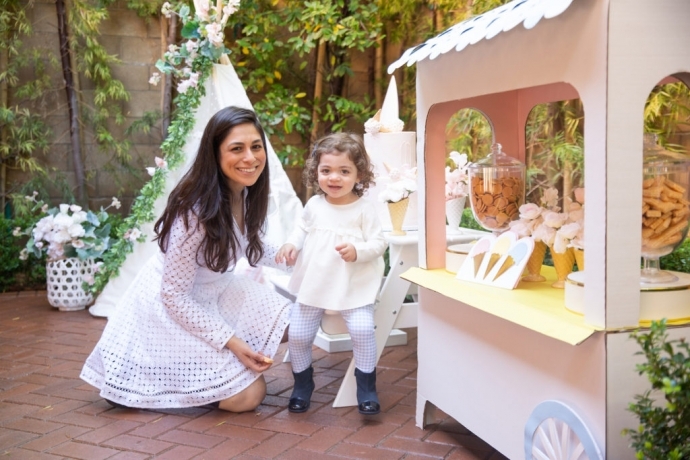 A little Cali rain did not stop this birthday girl from partying in style. 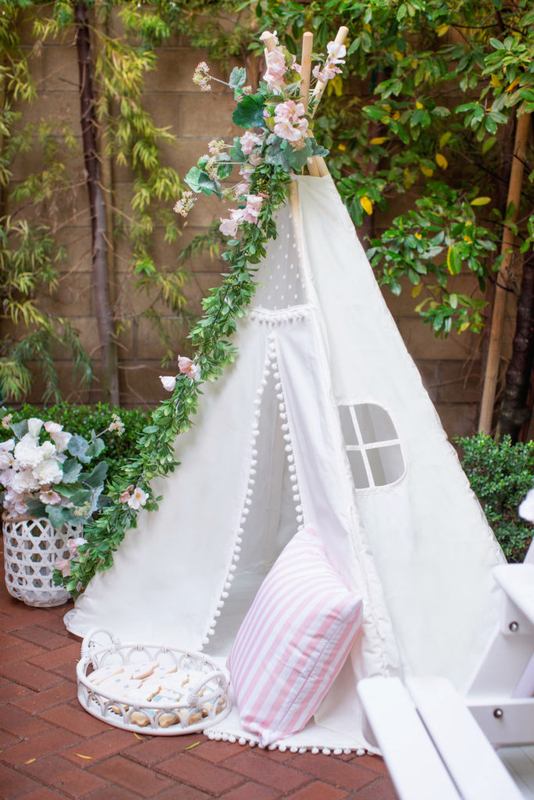 A canvas teepee tent adorned with greenery garland and throw pillows set the style of the party, boho-chic, and the hand-crafted ice cream cart set the theme. 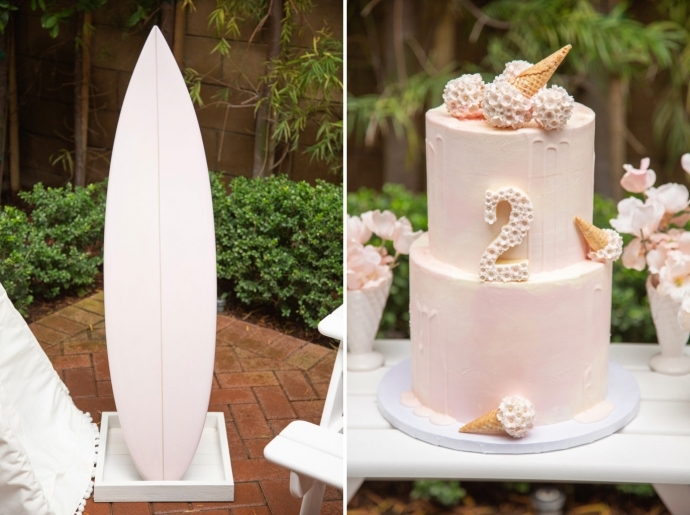 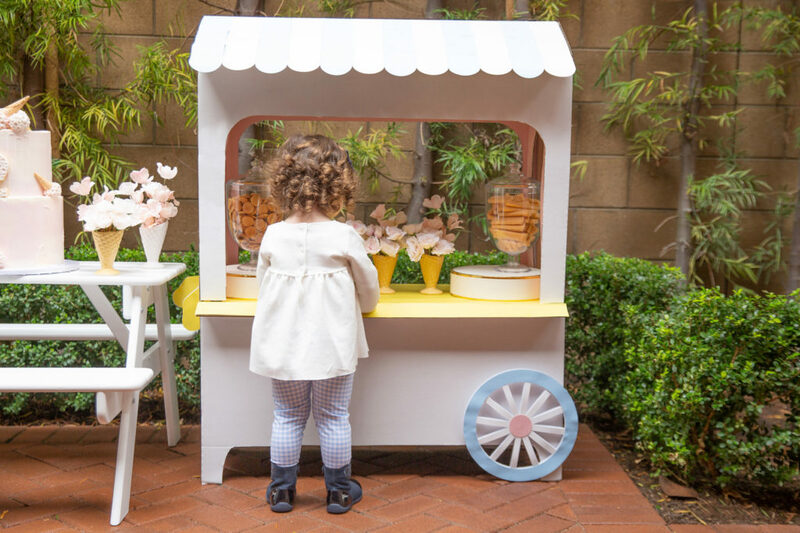 Other décor and DIY elements used were faux-floral arrangements, white bamboo lanterns, an ice-cream piñata, cookie filled jars and a custom-made milky white pink surfboard. 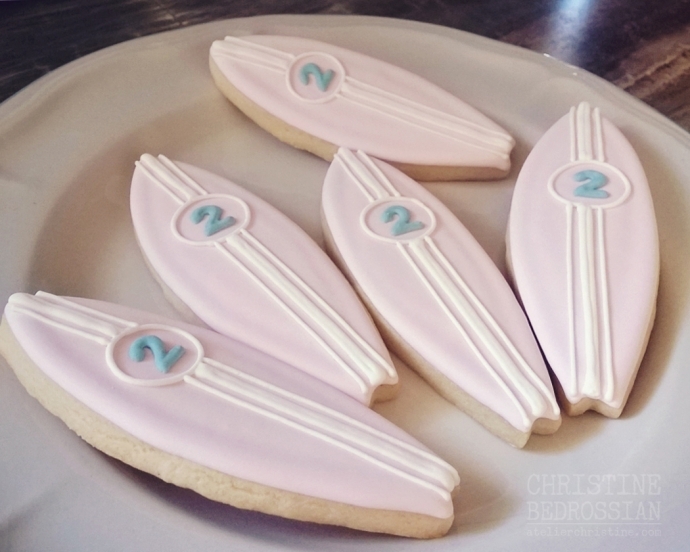 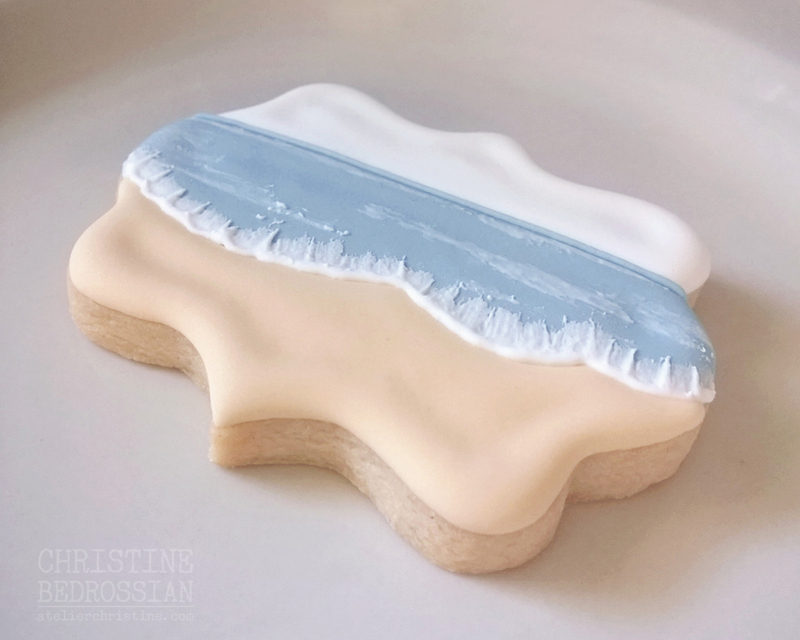 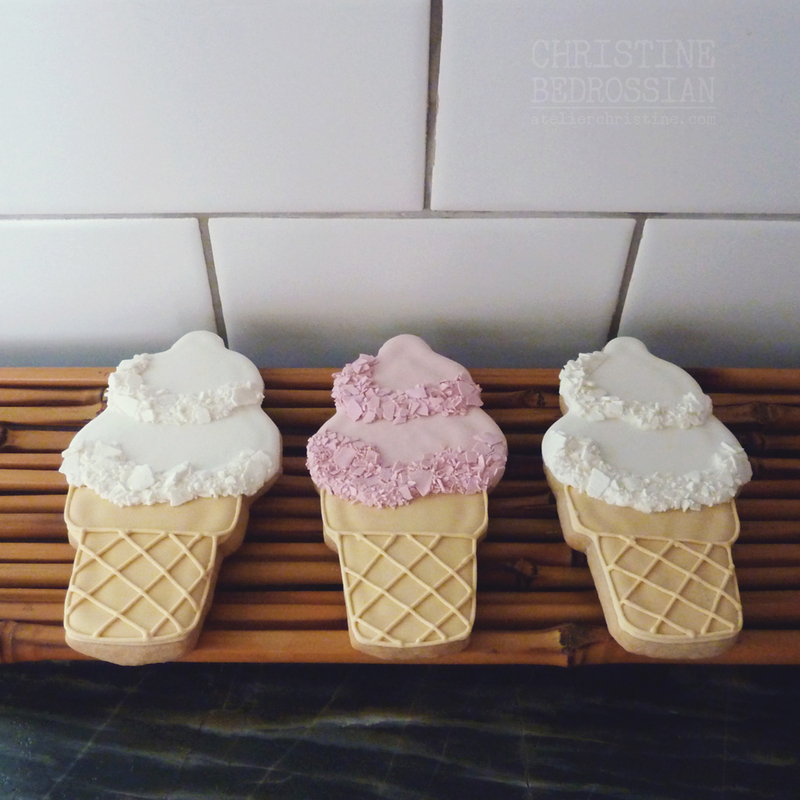 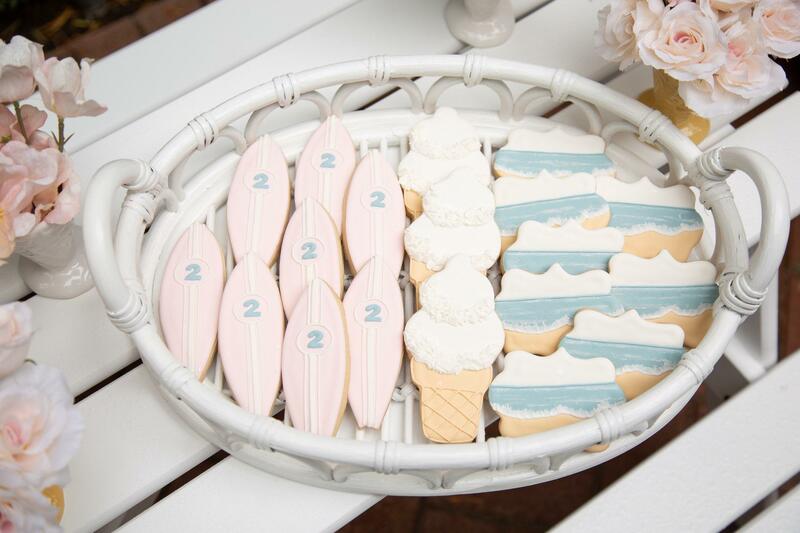 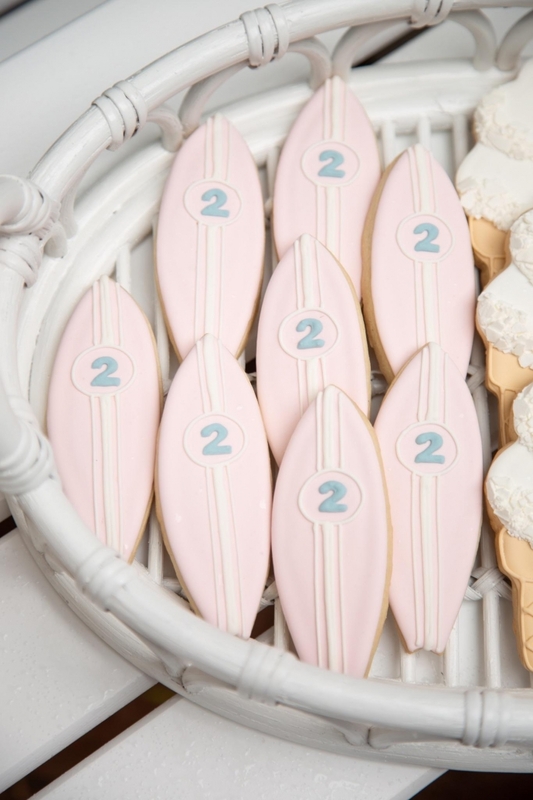 Beach and Surf themed sugar cookies, specifically ice-cream cone cookies, surfboard cookies and beach scene cookies, were arranged in a charming white rattan and wicker oval tray with cut-out motifs along the sides. 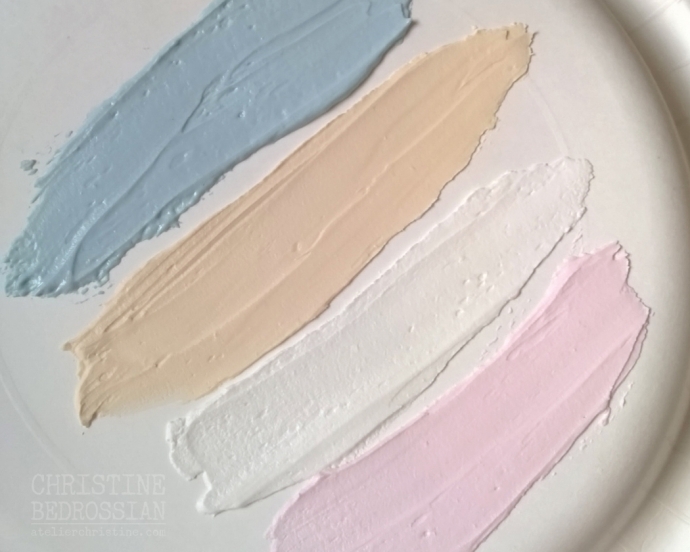 I was so happy with how these personalized colors turned out: wedgewood blue, moccasin, cream and peony blush. 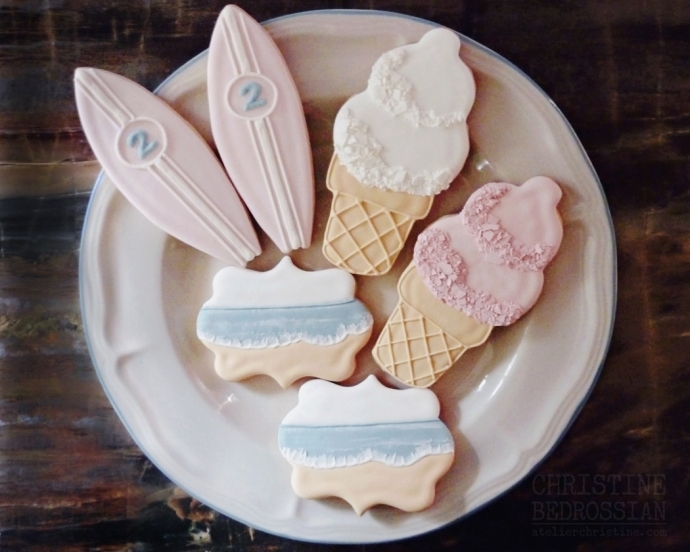 Yes, I name my icing colors! 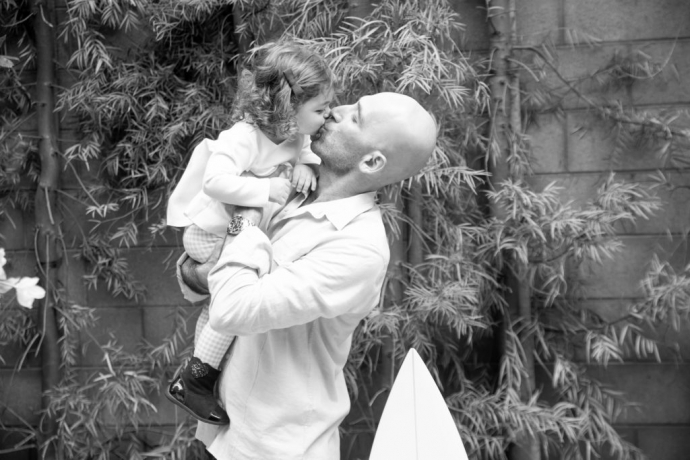 I might as well; it’s a labor of love. Using different pigments I custom-blend royal icing to achieve our ultimate color goal. 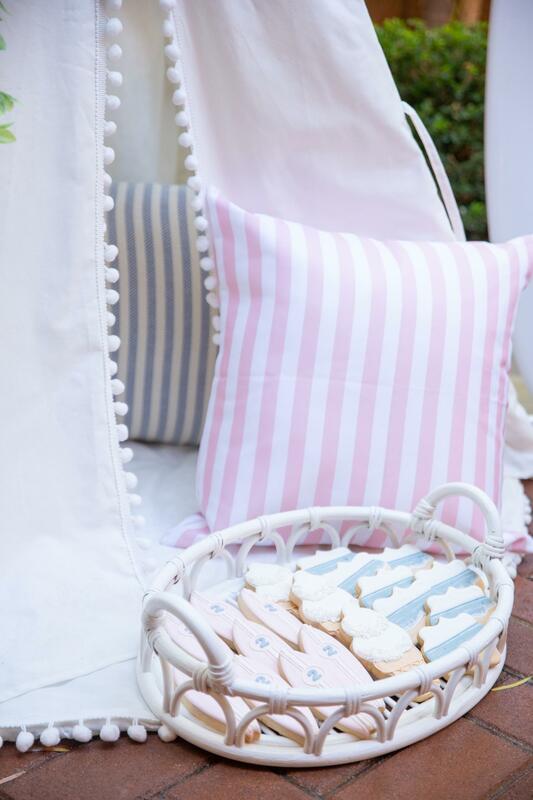 Who can spot the rain droplets? A two-tiered watercolor buttercream cake with ganache drip was set on a white picnic table surrounded with more pretty flowers arranged in ceramic ice-cream cone vases. 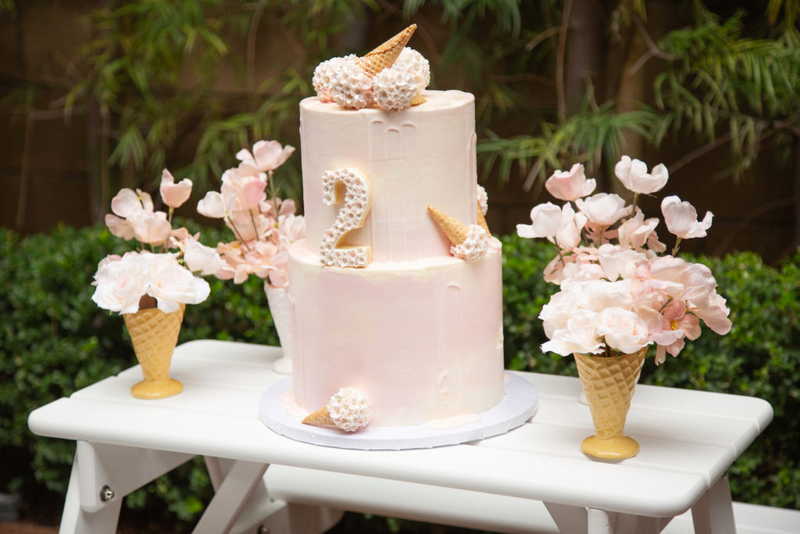 The cake had the cutest ice-cream cones covered with mini handmade sugar flowers and gold dragees – notice how often the word ice-cream is used in this post? 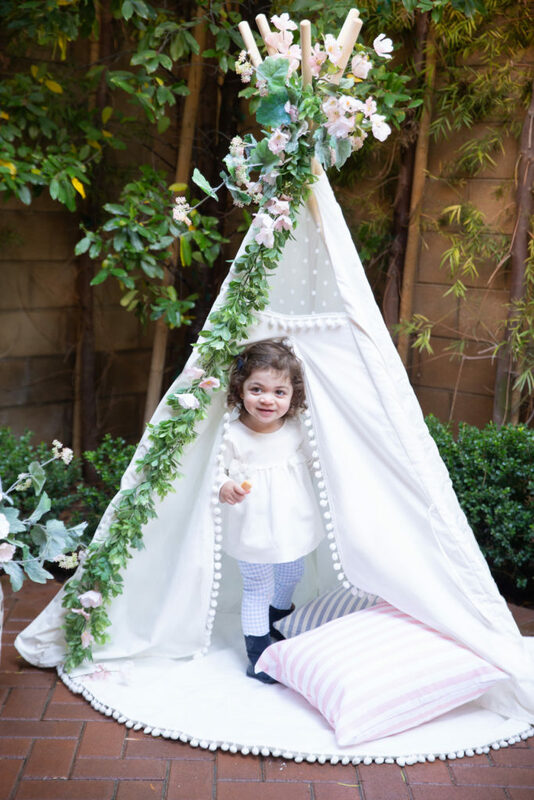 How adorable is this birthday girl! 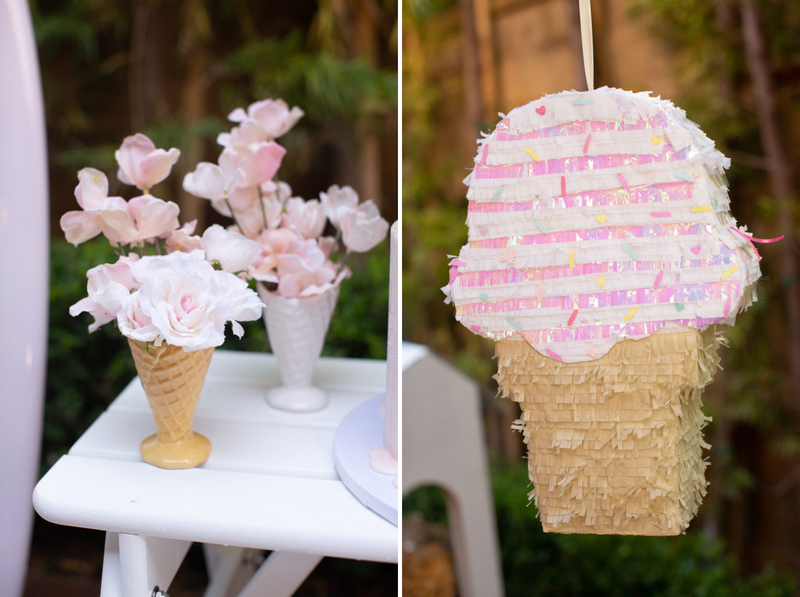 You can catch all the party details, additional photos and shop resources on Pretty Please Design‘s blog.